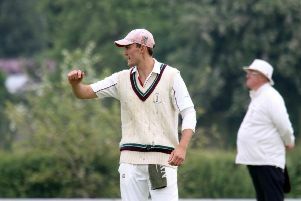 Jake Heath produced a six-wicket haul as Cropredy kept their promotion hopes alive in the Cherwell Cricket League. Heath took 6-44 to help Cropredy to a crushing 181 run win over Bledlow Village in division two. Saim Hussain 85 and Joe Fox 61 helped Cropredy to 270-9 in their 53 overs with Dave Pearce taking 4-71 and Will Woodward 4-92 before Heath took centre stage as, alongside Ali Worby 4-40, Bledlow were shot out for 89 in which Mike Winton 43 top scored. Cropredy have moved up to fourth but are still 17 points off the final promotion position. Leaders Westbury won a tight game at Aston Rowant II by four wickets. Aston Rowant racked up 209 all out off 53 overs with Chris Eaton 86 top scoring while Graham Judd took 3-55 and Richard Tredwell 3-69. In the chase, Westbury started well and were 91-2 at the halfway point but the Rowant spinners had immediate impact on the dry wicket by taking four wickets and drying up the runs after Tom Gurney 30 went. When Olly Tice 48 was the fourth of those batsmen to be dismissed, Westbury needed 90 off 16 overs with four wickets left and tricky batting conditions. But Graham Judd 34no and Harry Purton 55no produced a superb counter-attacking partnership and saw Westbury home with three overs to go. Didcot produced a comprehensive seven wicket victory at struggling Sandford St Martin. The result leaves Sandford rooted to the foot of the table, still without a win, while Didcot boosted their promotion hopes. Didcot skipper Richard Cook inserted Sandford and the visitors quickly got to work. Webb took three of the top four, as Sandford slumped to 44-5. Although Ian Reynolds 25no, batting at eight, helped to rebuild Sandford had no answer to Webb, who finished with 4-50, and Spears, who bowled a ten-over spell and took 4-30. Jordan Morrison took the other two wickets to fall as Sandford were shot out for 110 in the 36th over. 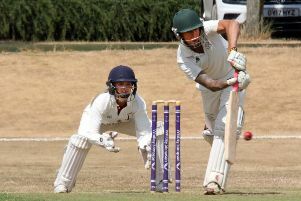 Elliot Mathews fell cheaply in Didcot’s reply, as did skipper Cook, but Karl Johnston hit 68 and Will Woodley 22no as Didcot cruised to 111-3 in the 25th over to secure maximum points. Who from Banburyshire has been sentenced in court?